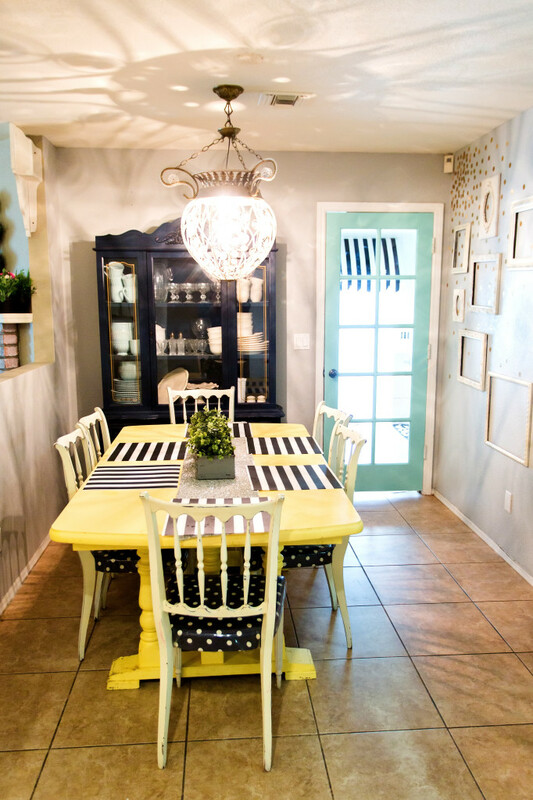 I have made a few little changes to my dining room area in the last few months. Most of the changes have just been some rearranging a few things. But I have loved the changes. It has been like a breath of fresh air. 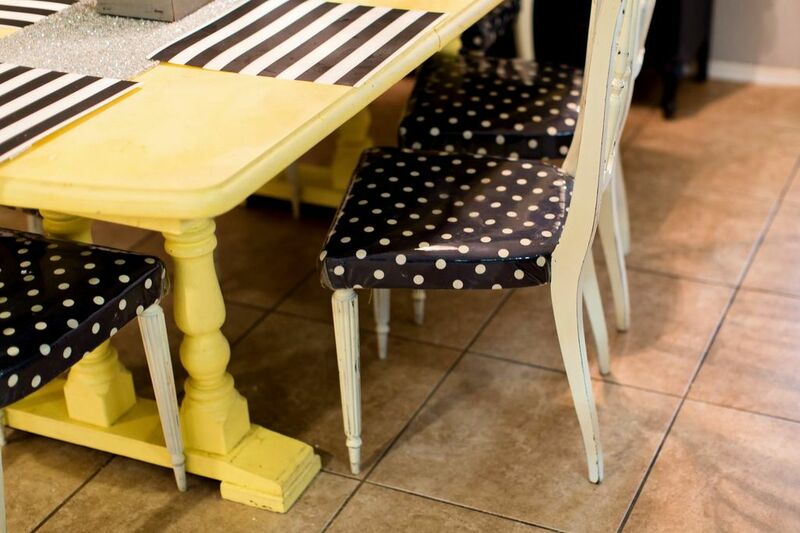 I am still loving my navy and yellow color combo and heaven knows that I am a sucker for the dots right now! One of them being the fact that I moved my navy hutch into the dining room area. I still have two of these chairs that I need to finish. This AMAZING light was from a garage sale from a few years back and it is something I think I will always hold on to. It’s one of my favorite things in my house. When Mallory was here visiting last time from New York we did a few projects around my house and painting the door leading into the playroom was one thing we did. I wish I knew the paint color but Mal and I just mixed a few different colors I had around the house to make that one. If you peek through the door you will get a glance at a special little project I recently finished for the playroom. 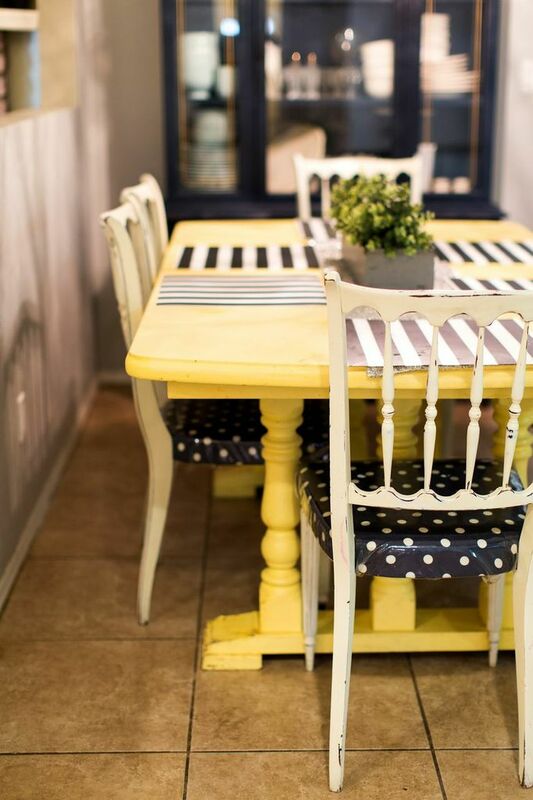 One of big things that I changed in the dining room is that I moved MY NAVY HUTCH behind the table. 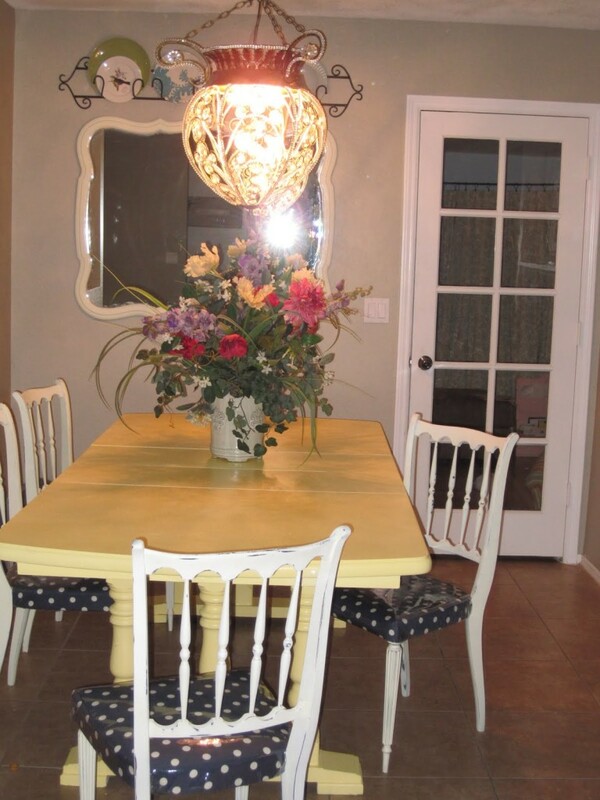 HERE is what the dining room looked like before. 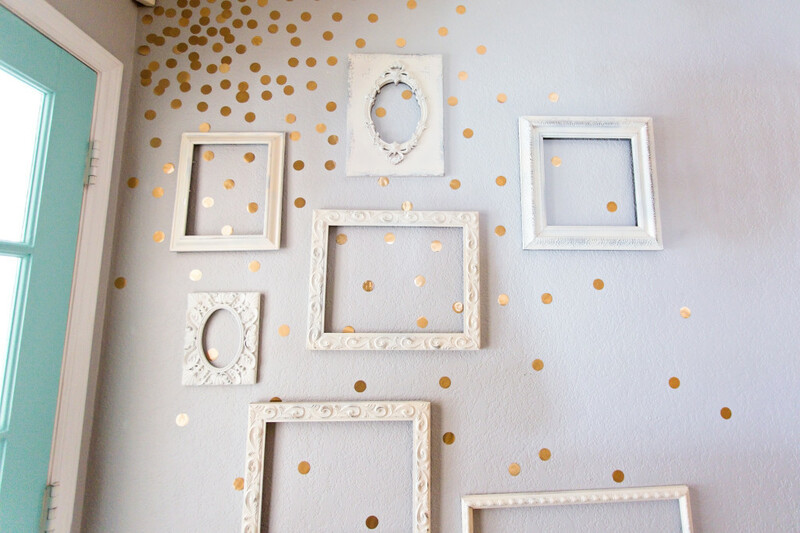 On the wall where the black and white tins were, is now my DIY GOLD DOTTED wall. It’s still one of my favorite spots in my house. And it was so easy and cheap. And now one more picture of the way it is now! Little difference but I think ever bit made a big impact. What do you guys think?!?! I am in LOVE with the changes! 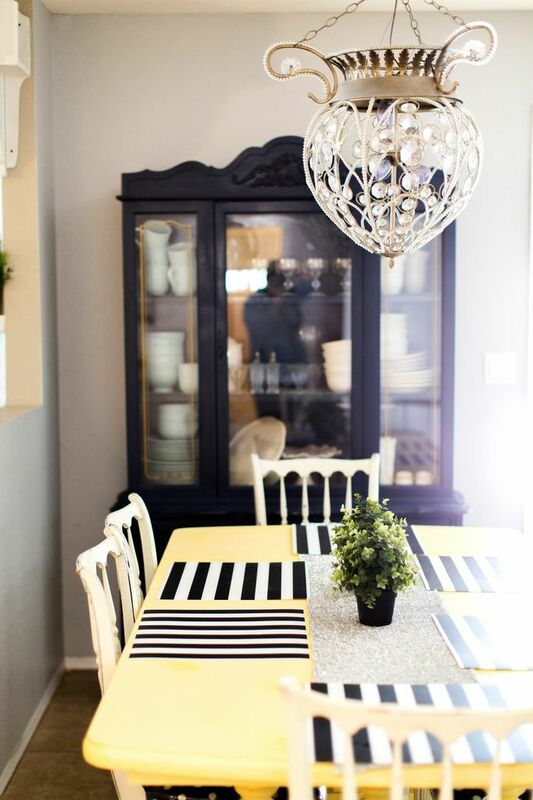 Once again, I need to give a huge shout out to Brittney Gurr for the amazing photography of my house! Girl, you are an All-Star! So fabulous!!! 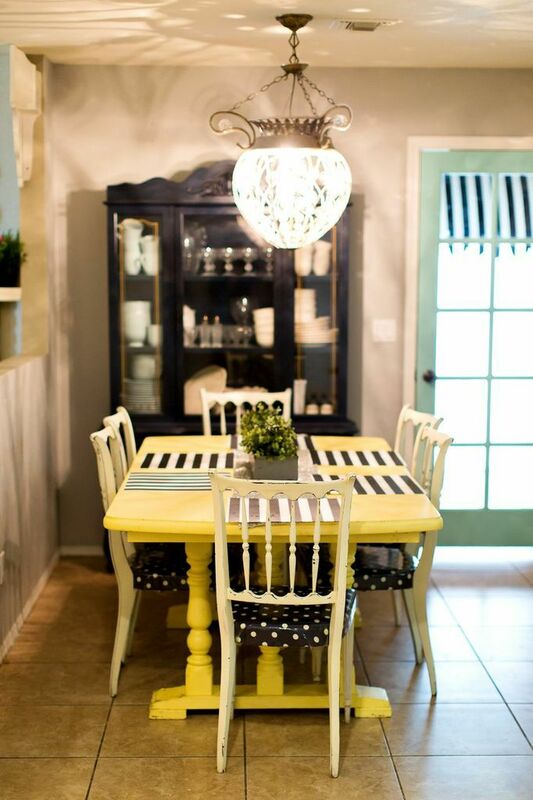 Love that yellow table AND BLUE DOOR!! 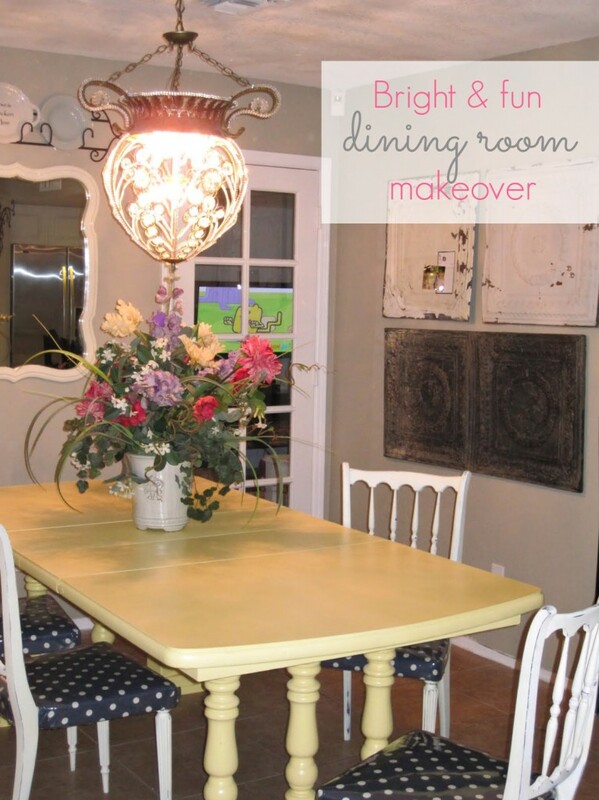 Love the diningroom, everything you did made it just shine! 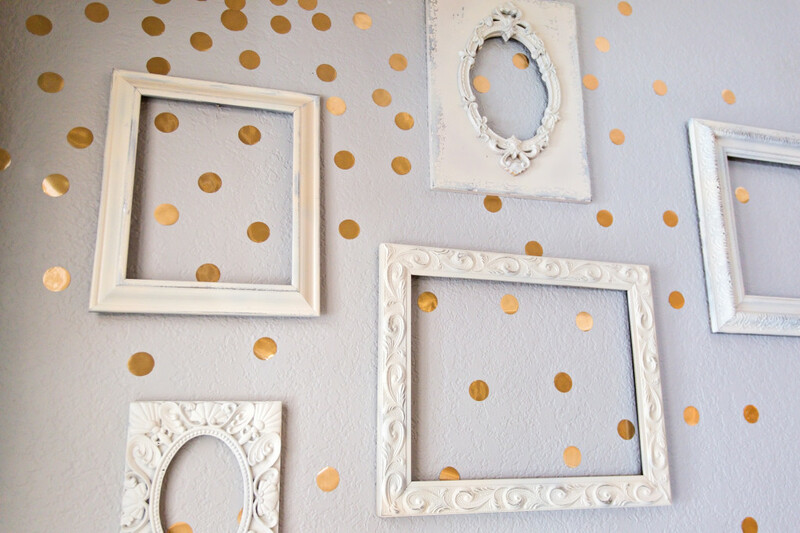 Love the dots on the wall with the empty frames! This is beautiful! I have that same mirror (that you moved to the mantel) from my childhood, and love how you painted it (or maybe yours started out painted–mine is 50s medium brown wood). But most of all, I LOVE your signature font. In my spare time (ha) I want to try to mimic the calligraphy. 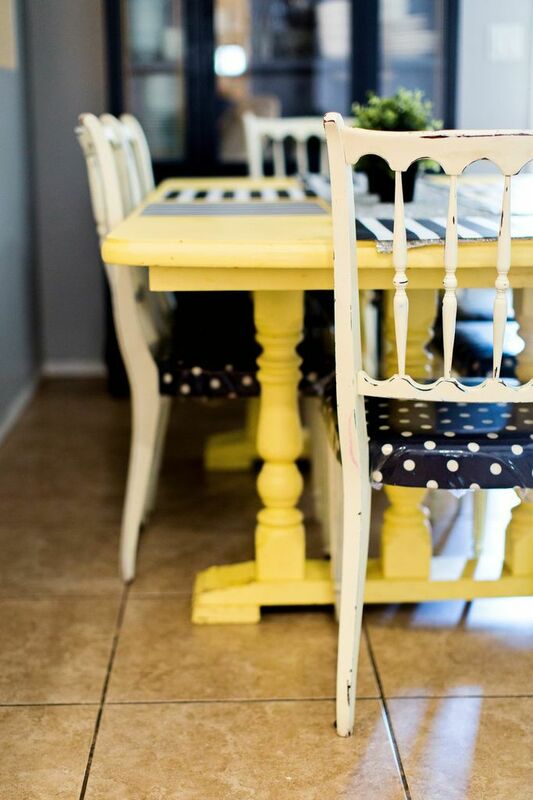 Love the yellow with the navy polka dotted chairs- and the gold dots on the wall- looks amazing!! 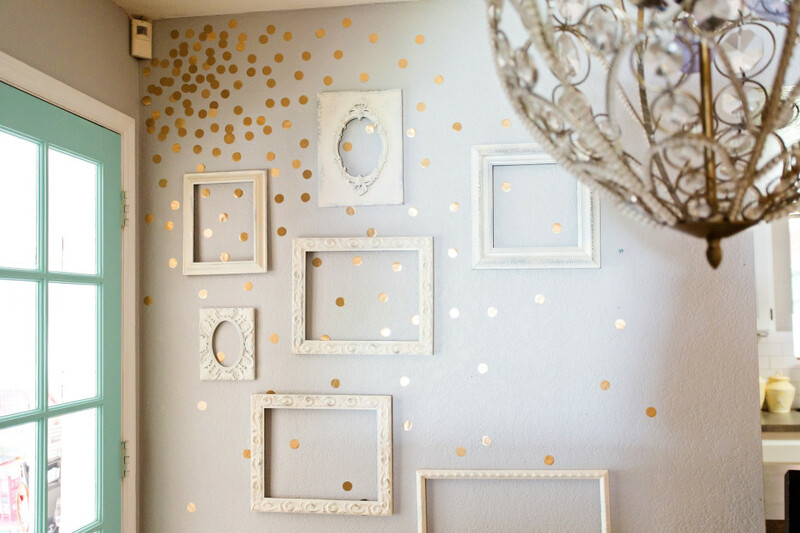 I love the wall with the gold dots and the frames, makes a big difference, and it looks more open in there now. Congrats on your paint win! Love Love this! And I think those changes make the room look absolutely gorgeous!! !